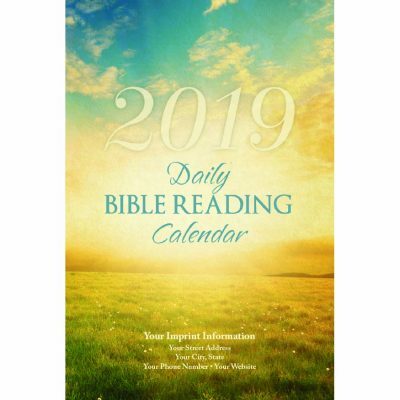 The 2019 Daily Bible Reading Calendar can be imprinted with up to 4 lines with your church or organization information. Click on the Design Online button below. On the next page click in the imprint area, enter your imprint information, and then click the Approve button at the top right. It’s as easy as that, but if you still have questions, feel free to give us a call at 800-244-8654. We are more than glad to assist you in placing your order. 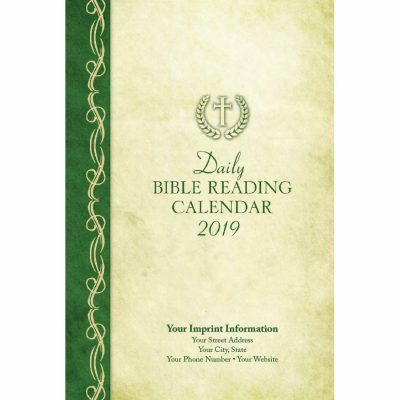 The 2019 Daily Bible Reading Calendar can be imprinted with up to 4 lines with your church or organization information. 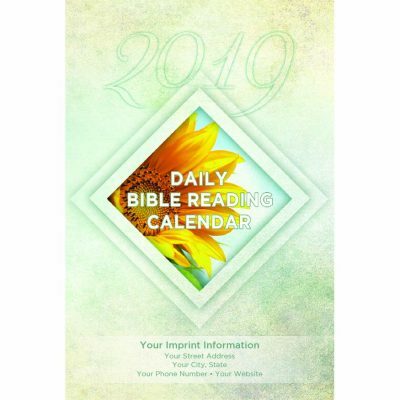 New this yearClick on the Design Online button below. On the next page click in the imprint area, enter your imprint information, and then click the Approve button at the top right. It’s as easy as that, but if you still have questions, feel free to give us a call at 800-244-8654. We are more than glad to assist you in placing your order.